RealWorld Paint is one of the best Image editor available on the web to edit images, draw pictures and retouch you photos. This tool allows you to create your own images, logos, buttons, edit your photos by removing items and so on. RealWorld Paint 2013 software is absolutely free to download and use and really easy to use, more powerful and complete. 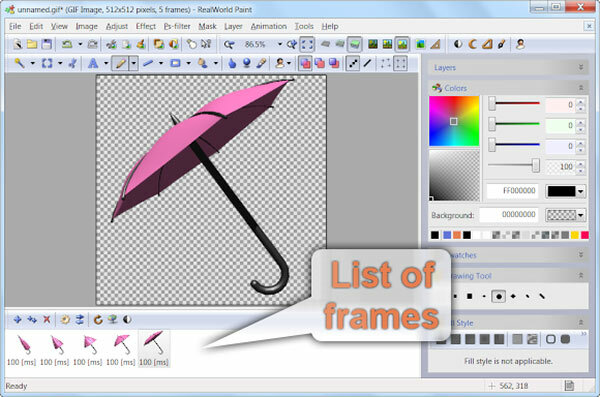 RealWorld Paint Image editor supports different file formats such as JPG, JPEG, PNG, BMP, GIF, and many others. Also if you are a Adobe photoshop user then keep in mind that Photoshop’s .psd files are imported with selected layer styles. Compatible layer styles are converted to RWPaint’s native layer styles. With RealWorld Paint you can design your own logo, buttons or web icons like a pro. Don’t mind correct transparency and sRGB color blending. Also you can remove blemishes, resize and crop photos for your blog. If you are a blogger like me then second option- Retouch photos is more useful for you. Because with this you can remove blemishes, resize and crop photos for your blog. If you want to import and export native images to the other popular image editor with this tool, then you can easily do that. You can easily import and export images with layers. 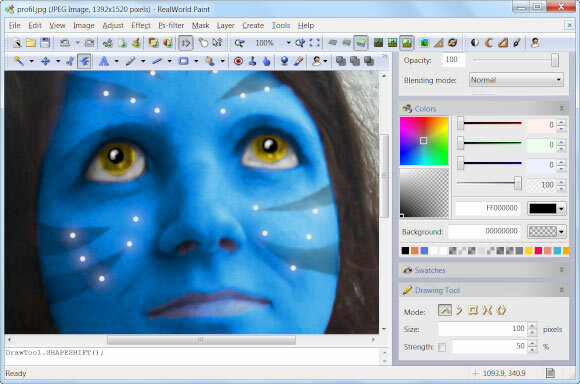 With the RealWorld Paint software tool you to create simple animations like flashing buttons or animated forum avatars and so on. RealWorld Paint is a free software and it’s compatible with Windows 7, Windows 8, Windows Vista, Windows XP and Windows 2000. You can download the RealWorld Paint tool from the following link and software size is near ~10MB. And don’t worry, RealWorld Paint will not install any additional packages on your computer. Which Image editor do you use daily? Share with us via comments below.